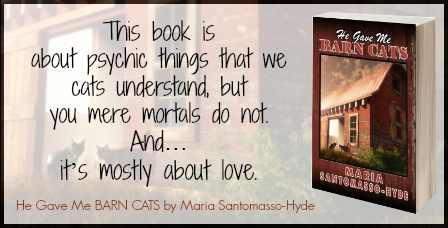 Author Maria Santomasso-Hyde is visiting today as part of her HE GAVE ME BARN CATS Blog Tour with MC Book Tours. 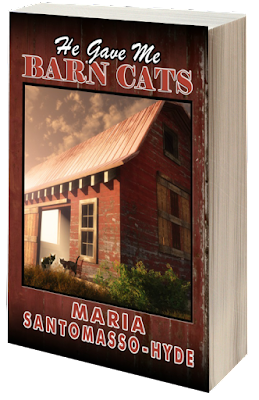 Her book is scheduled to be released March 14 by Dancing Lemur Press. Thank you, as always, for your support, Hilary. 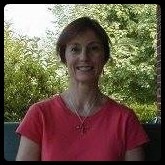 I'm featuring Maria today as well! Murees, thanks for being a part of Maria's tour. Have a wonderful week! It is my pleasure. Have a wonderful week as well. This sounds like a good book. I am a lover of cats. They can teach us a whole lot about love. Thanks for featuring her. Hey Pat. I love cats too. Or at least, I have loved one cat during my lifetime and she was brilliant. She taught me how to love a cat. Thanks for the support, Belva. 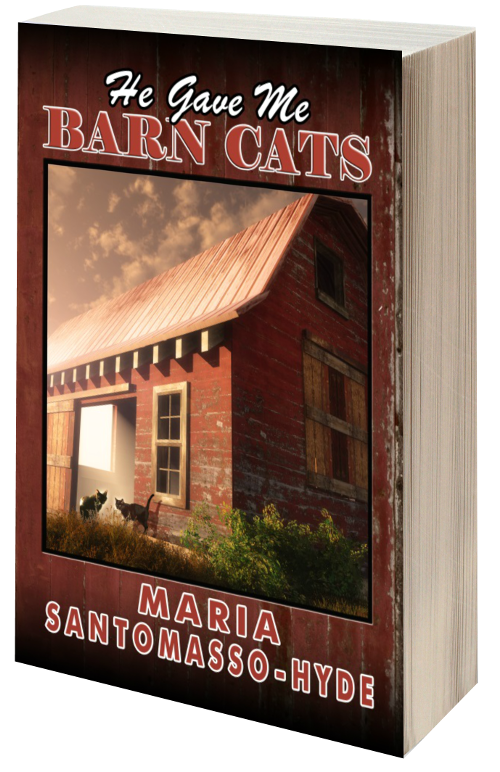 Thank you for featuring Maria's wonderful book today. Pets can be very therapeutic, though I've always been skittish around cats (I'm more of a dog person). I think it's because they love unconditionally and are always happy to see you. I never knew I liked cats until one in particular adopted me and my whole family more than 10 years ago. She made me love cats. Fun times! I love cats. Grew up with them and I miss having a kitty, but my son has crazy allergies, so my cat days are probably over. Aw. Maybe you can get one of those hairless cats? Cats are great. Dogs too of course;) My dogs are frowning at me now.